Adjustable length bracelet with 2 slider beads and 3 hanging charms. 1 x logo disc 1 x flat star charm 1 x shine word charm. 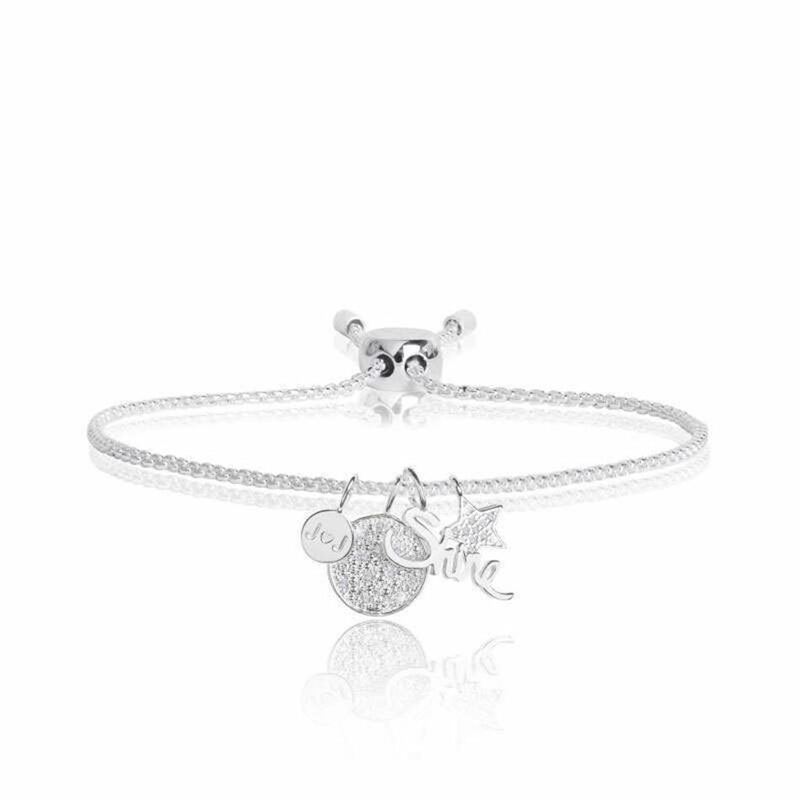 Joma's brand new Keepsake charms create the ultimate friendship bracelets. Carry your favourite sentiments close, to inspire everyday.